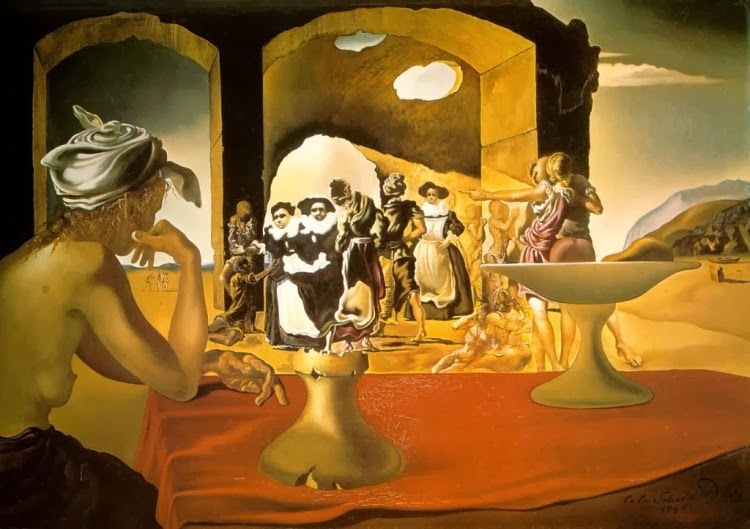 Flying animals, melting clocks, nuclear war, beautiful women, Abraham Lincoln, the crucifix: if any of these interest you then you need to immediately visit The Dali Museum in St. Petersburg, Florida. The last time I toured the Dali, I was in fifth grade. Now looking back, I am shocked that a religious-affiliated private school took us on a field trip to the museum. Now that I have a better understanding of art, I look forward to visiting the Dali multiple times in the future. You need to visit soon. Right now, the Dali is showcasing works of art by Andy Warhol. If you aren't familiar with Warhol, Men in Black 3 provided him with a quick silhouette (of which, Warhol would probably be insulted by). Our favorite part of the Warhol exhibit was the "Heinz Tomato Ketchup Box." Is it art or is it bologna? Go see it and you decide. 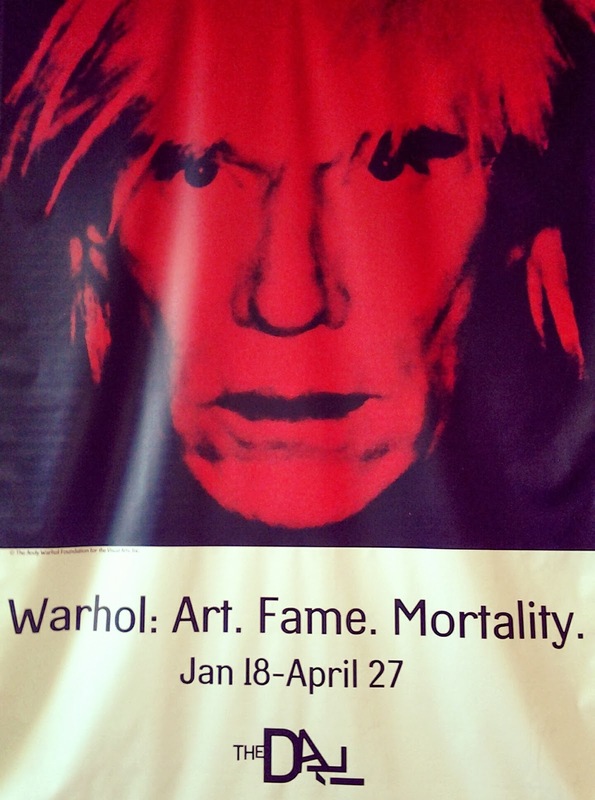 View Warhol artwork now until April 27. According to Warhol.org (regarding the "Heinz Tomato Ketchup Box"), "Warhol later said that he wanted 'something ordinary' and it was this mundane, commercial subject matter that infuriated the critics." 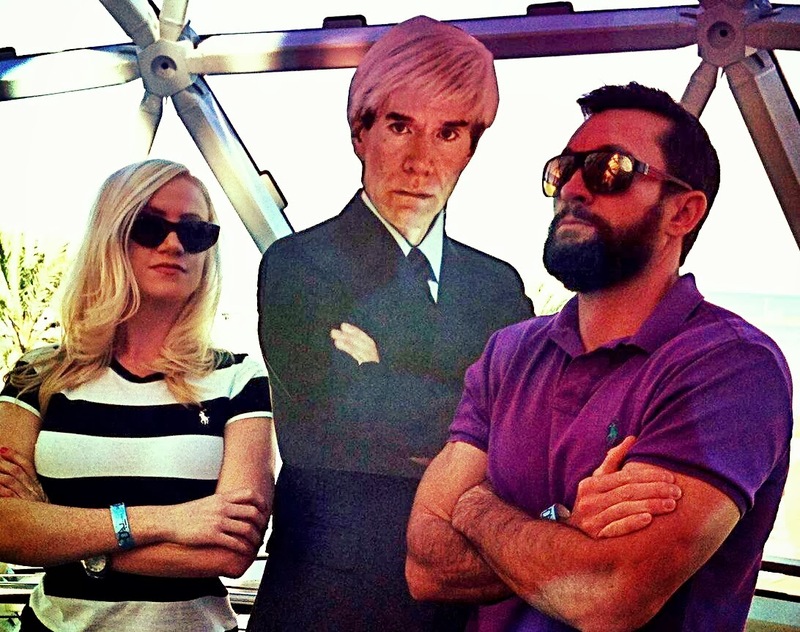 The Warhol exhibit is available until April 27. 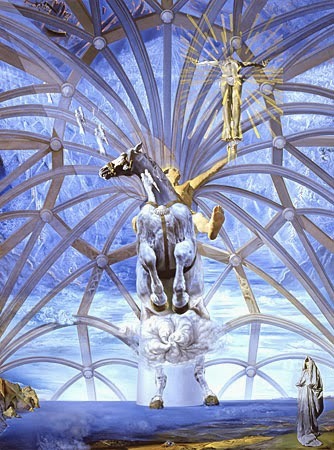 Another reason to visit the Dali soon is to view "Santiago El Grande." This extraordinary piece is normally housed in Canada;only available to view in Florida for a limited time. At over 15 feet tall, this piece is so exquisite, it is hard to find the right words to describe it. You must experience it in person. Make sure you make it a day trip when you visit. 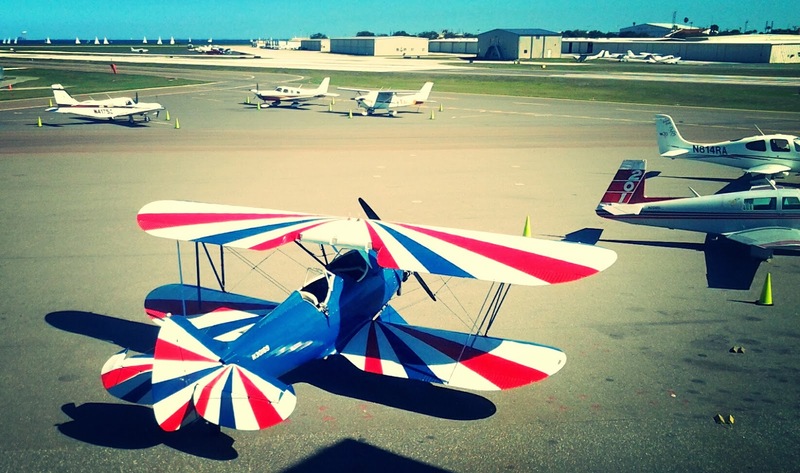 Directly across the street from the museum is The Hanger Restaurant and Flight Lounge. The Hanger overlooks a small airport. It is a nice place to have lunch or dinner after visiting the museum. The Hangar is located across the street from the Dali. The Dali offers other entertainment other than artwork. "The Dali Enigma" is a short, 6 minute film that plays every 15 minutes. Presented by Bright House Networks, Bay New 9, the film provides you insight on the museum. It is located on the first floor. Outside of the museum there is a water-front garden. 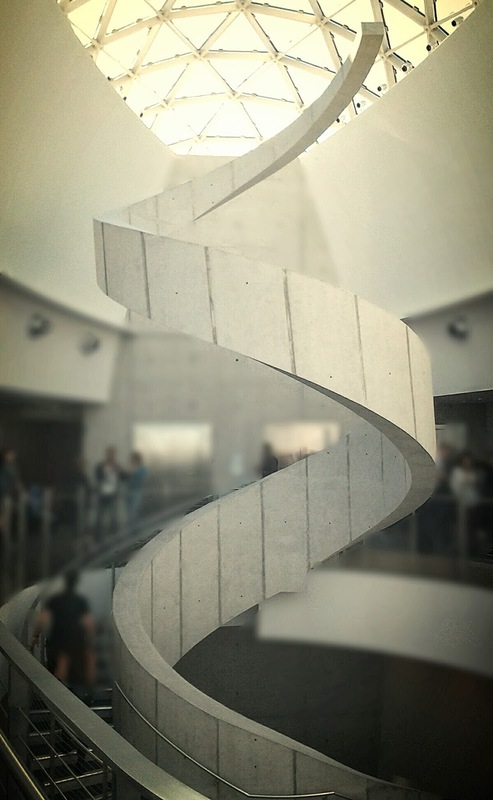 According to the Dali, "The Mathematical Garden allows students to experience the relationship between math and nature, and a labyrinth in the southeast corner invites exploration and well-being." 1. Bring your own earphones. If not, you will be using the provided earphones. Who knows who used them before you! Earphones are necessary for both the Warhol and Dali tour. 3. Request a private tour. The audio tour is educational but it is rated PG. A private tour will provide you with more in-depth information regarding his unique artwork (PG-13). 4. Order a glass of wine at Cafe Gala and go into the "additional seating for the Gala" room. There is no one in that room and the view is incredible. 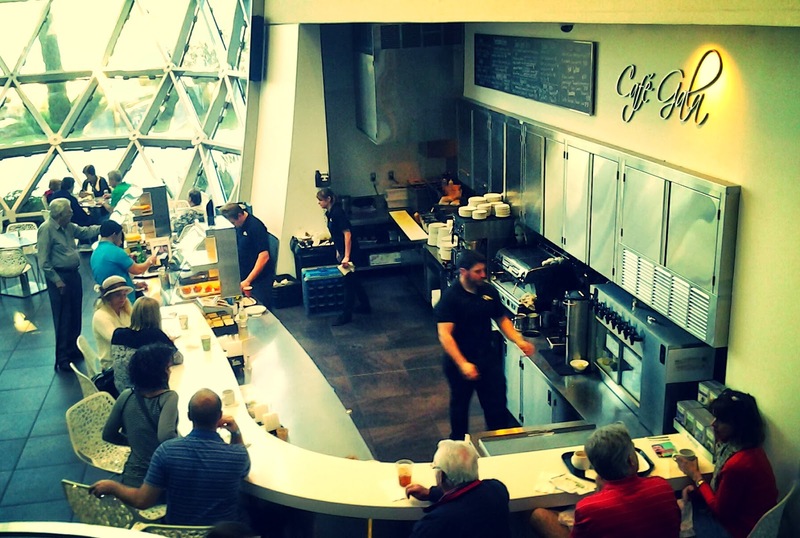 Cafe Gala is located inside the Dali Museum. 5. Make sure your phone is fully charged. The Warhol tour requires your smart phone. 6. Have cash ready because it is $5 to park at the Dali museum. 7. Try to not go on a Saturday. It is packed on Saturdays! The talented Dali. Photo from here.